These holiday-themed baby names are truly tasteful. The Thanksgiving story has a cornucopia of interesting names tied to the holiday, from arrivals on the Mayflower to those responsible for making it as a national holiday to the perennial Macy’s parade to poor old Tom Turkey himself. 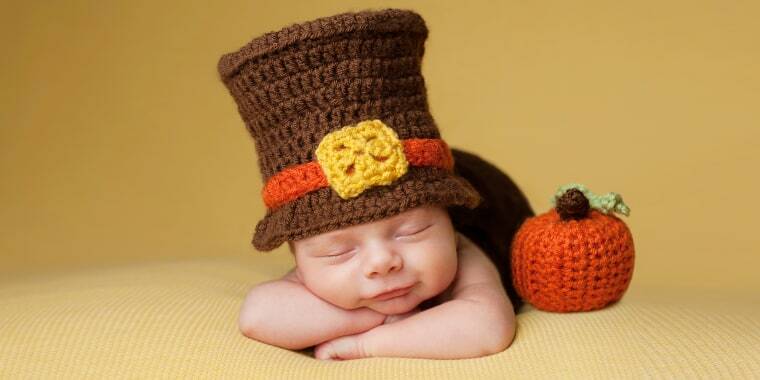 Here are some of the best Thanksgiving baby names. Macy’s Thanksgiving Day Parade has been a NYC tradition since 1924, when it featured the store’s employees in costume and animals from the Central Park Zoo. The upbeat name has been largely associated with jazz/soul singer/songwriter Macy Gray, who was born Natalie, but its use has spread — it’s at Number 545, and was picked by actress Edie Falco for her daughter. Correction: An earlier version of this story incorrectly stated the date of the first appearance of the Mickey Mouse float in the Macy's Thanksgiving Day parade. Mickey made his debut in the parade in 1934.